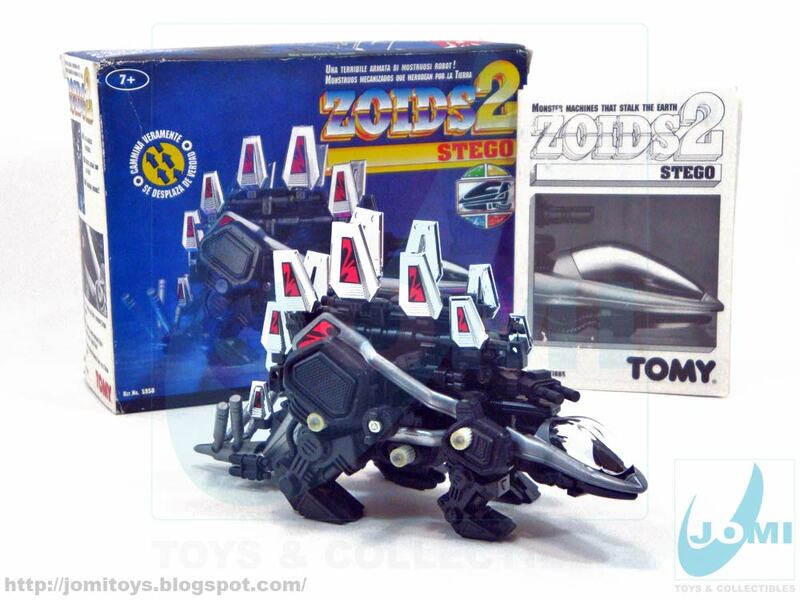 Another fantastic ZOID, and in this particular case, its Zoids2 incarnation, was the Stego. Based on a popular dinosaur, the "Stegosaurus", this Zoid shared the same main weapon of its dinosaur-design inspiration - the spiked tail! It is believed the brain of the Stegosaurus was of the size of a walnut. Nevertheless, this machine had a pilot to coordinate whatever attack it needs to perform, or defend from. 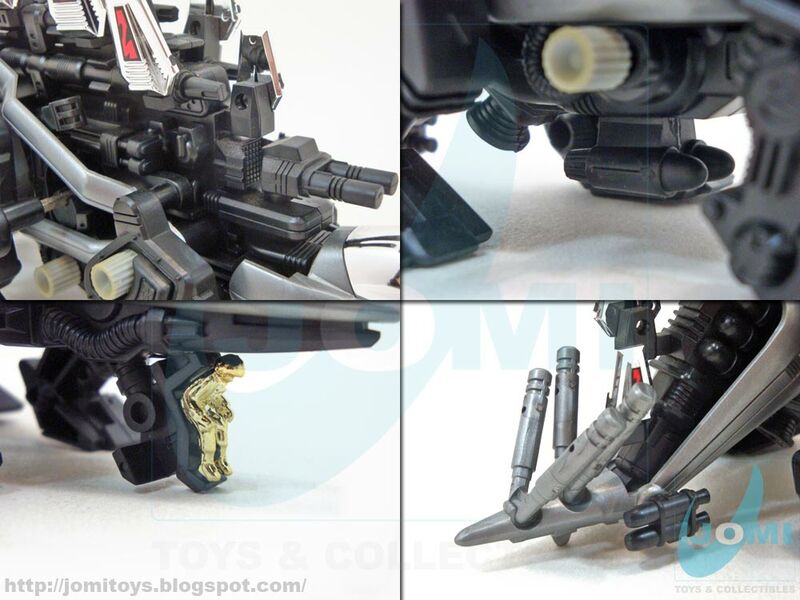 A member of "Red Team", this toy is beautiful. The elegant lines, the applied chromes (which are actually durable, more than the gray rubbers!). 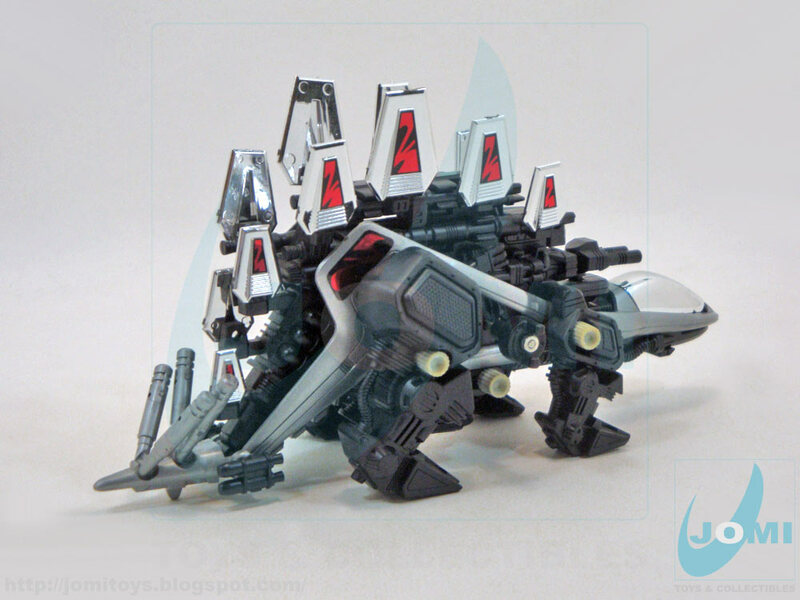 When running, the dermal plates move, typical Zoid design and attention to detail. Weapons and cockpit access. 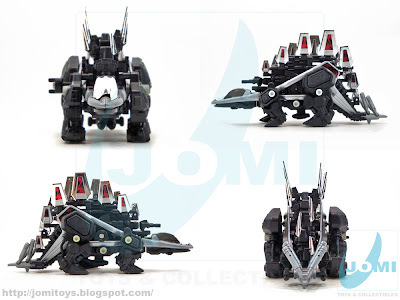 Seat moves down to board the Zoid. Nice. On its "belly" the missile launcher can break VERY easily. Actually, until we found a MISB one (this one), we encountered 2 loose "Stegos". Both were missing this part. 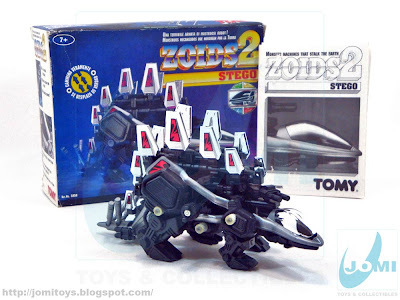 Assembling this boxed Zoid, we understood why. 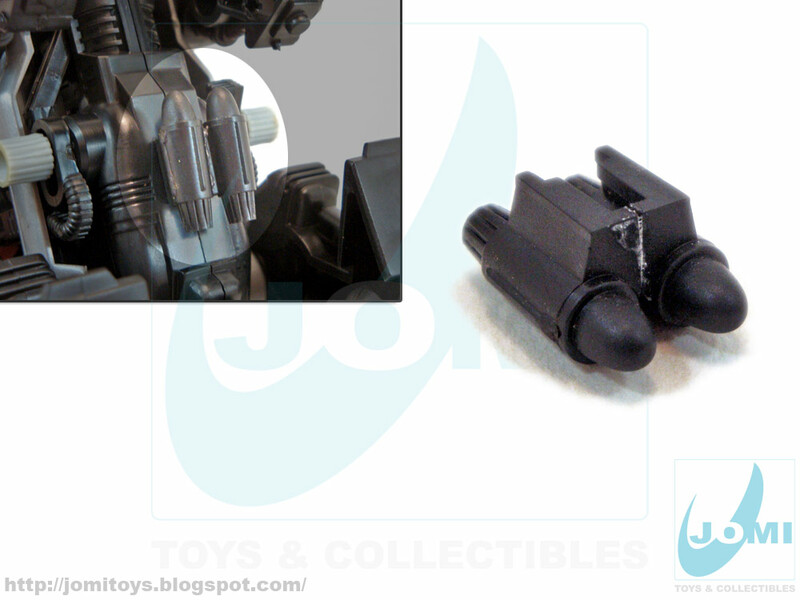 This part serves as a connector. And the pressure easily breaks this weapon in half. So if you ever manage to get one MISB and decide to assemble it, be extra careful when you snap this one on.